Join the Official Facebook group for the latest updates! 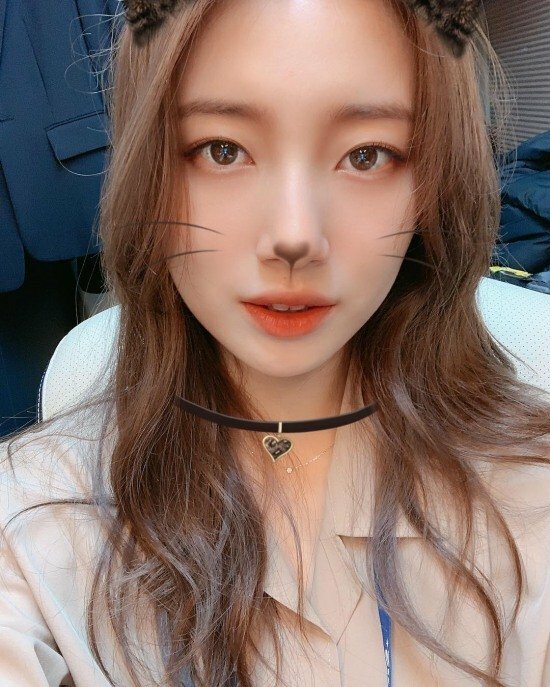 Singer and actress Suzy shared an adorable picture of her using a cat filter on a smart phone app. The photo is captioned "Meow" and shows the beauty staring at the camera with luminous eyes and ethereal beauty. Suzy has teamed up with Lee Seung-gi, director Yoo In-sik, and writers Jang Yeong-cheol and Jeong Kyeong-soon-I for 100% pre-produced drama "Vagabond". Set to air in May, "Vagabond" is the story of an ordinary man who comes across surprising circumstances that place him in the center of a huge corruption scandal.